The process of data integration, data migration, consolidation and other data manipulation projects consists of a variety of steps and tasks. Javlin supports many critical tasks within these projects with a versatile ETL tool that provides technical solutions to transform data and connect different systems and data sources with various data formats. However, there are additional aspects in order to achieve success with data processing projects. One important project phase to ensure future success is the analysis phase. At Javlin, we are now on the verge of introducing new tool that will boost productivity in the early stages of a project. This product is our new data profiling tool - CloverDX Profiler. CloverDX Profiler helps give you insight into your data. By creating a profile of your data using various metrics, you can get the big picture of the current condition of your data. This information has a large impact on the next stages of your project. Imagine you are project manager with a complex task at hand - building a data warehouse. 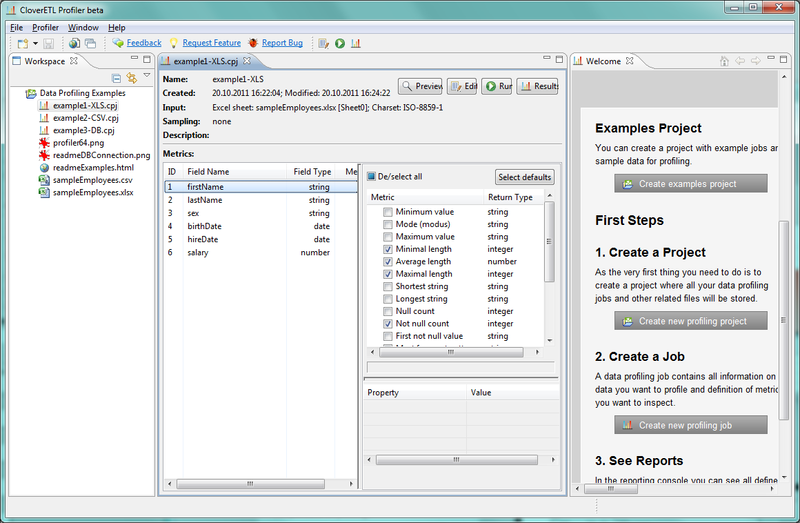 You have couple of data sources - database tables, CSV files, log files you want to analyze and probably some others. After you define the basic requirements for your data warehouse and its structure, you need to check the condition of your source data. 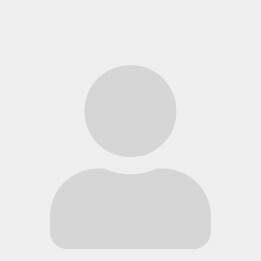 Instead of writing your own tools and testing the data in complex way, you are just a few clicks away from creating detailed profile of your data. The usage of the CloverDX Profiler tool for the project analysis phase is just the beginning. 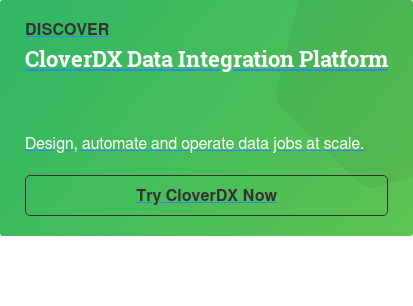 As part of our vision for the future, we are on the path to create a fully integrated product in CloverDX Designer and CloverDX Server family. Right now, we are excited to announce the beginning of our beta program for CloverDX Profiler. We invite you, people from the data integration community, to join the testing phase; it’s a great opportunity to not only have a look behind the scenes, but to also be a part of the development process by contributing your insights.